Two leading theatre figures in Iran have been arrested over a trailer for Shakespeare's "A Midsummer Night's Dream" featuring men and women dancing together, a government official said Monday. Prominent director Maryam Kazemi and venue manager Saeed Asadi were detained on Sunday on the orders of the judiciary, said Shahram Karami of the ministry of culture and Islamic guidance, according to the semi-official news agency ISNA. Karami, who heads the ministry's performing arts department, said the "type of music played" and the actors' "movements" were the main problem with the trailer, which was widely shared on social media. Men and women are banned from dancing together in Iran. Kazemi and Asadi were ordered to post bail of 3 billion rial (roughly $23,000 at the current unofficial rate) each, and were due to be released from detention on Tuesday, according to state news agency IRNA. 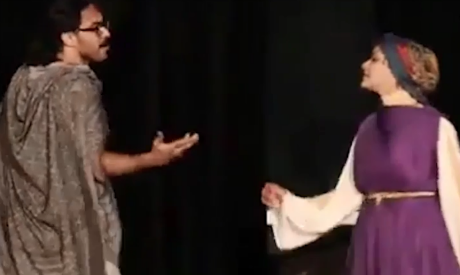 The play had already been showing for seven nights at City Theatre, one of Tehran's most famous venues, and only had one night left to run when the pair were arrested. "The issue was with the trailer they released and not the play's content," Karami added.